Greetings! Another freezing cold month has passed! This presents a perfect opportunity to stay inside with lots of layers on, read a book and work on RAP reports. Apparently 521 out of 663 students or 78.65% at MES did so last month. While the needle hasn’t moved very far from last month’s statistic of a 78.9% participation rate — quite a few teachers, parents and the students have been holding the fort steady. Let’s see the results. Statistics alone are not enough to describe some of the outstanding work that we have seen. Please check out some of their best work on the bulletin board. 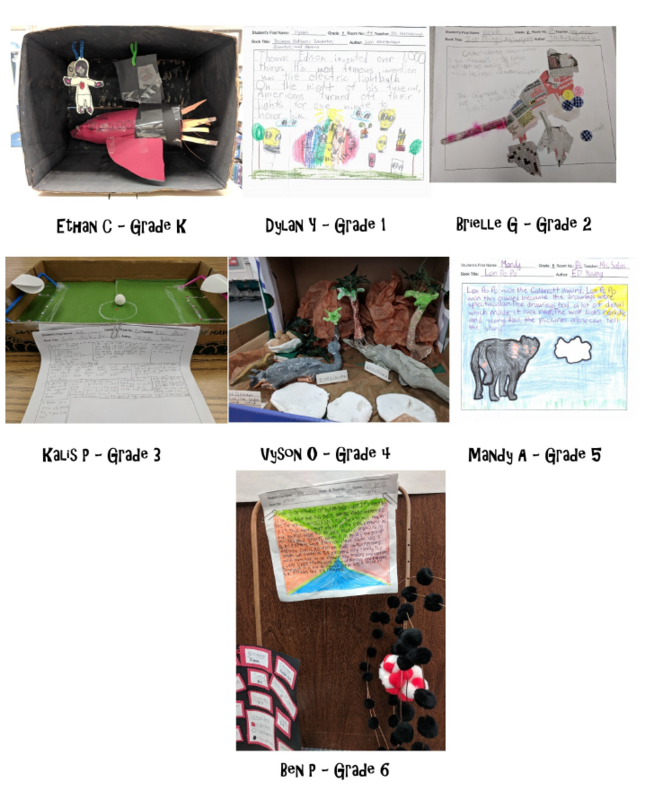 You can also see a picture of each grade level’s RAP of the month in this email. Congratulations to these hardworking students! This is a very short school month with spring break coming up. There’s approximately 7 school days left to turn in your RAP. Students, please consider working on your RAP and turning it in early. Spring break is also a great time to read a book and make something wonderful to show us when you return! 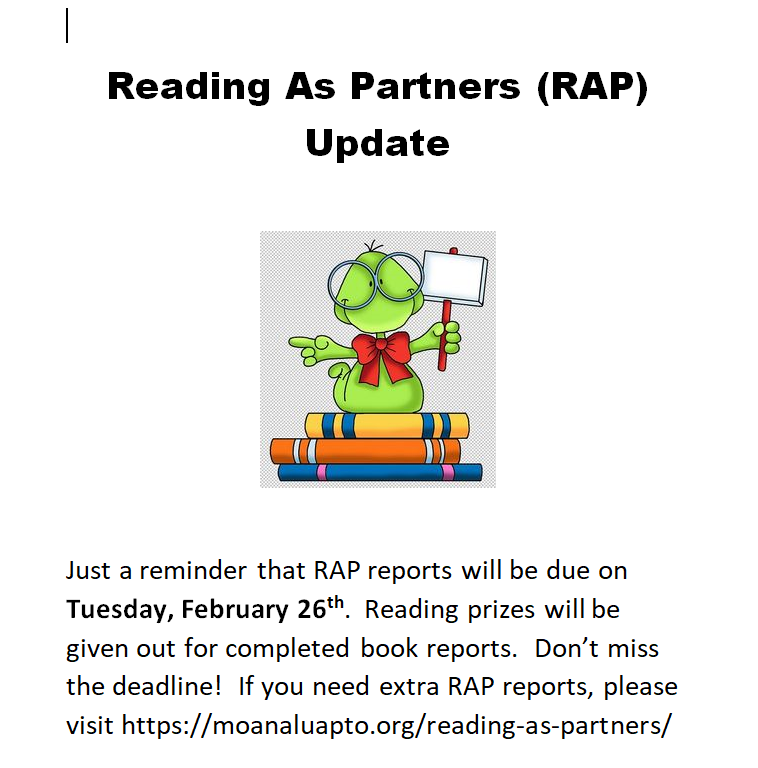 Extra RAP forms can be found at https://moanaluapto.org/reading-as-partners/. 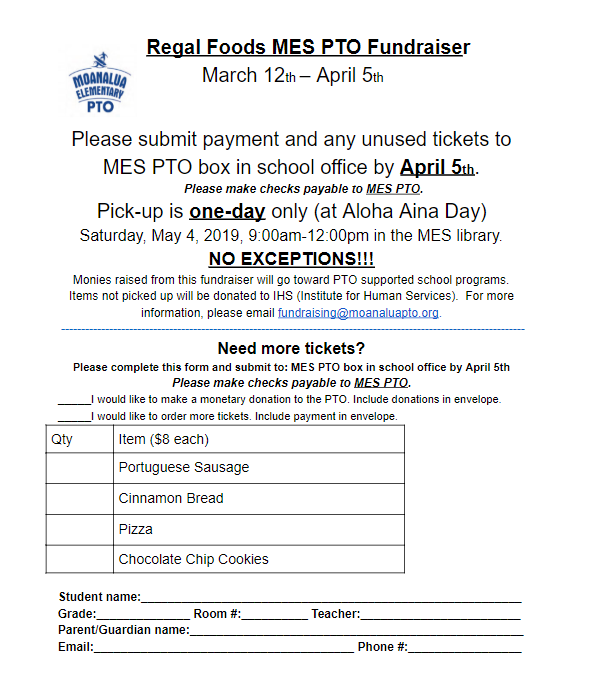 Please join us at our next PTO Board meeting on Thursday, March 14th at 5:30 pm at Moanalua Elementary Library. 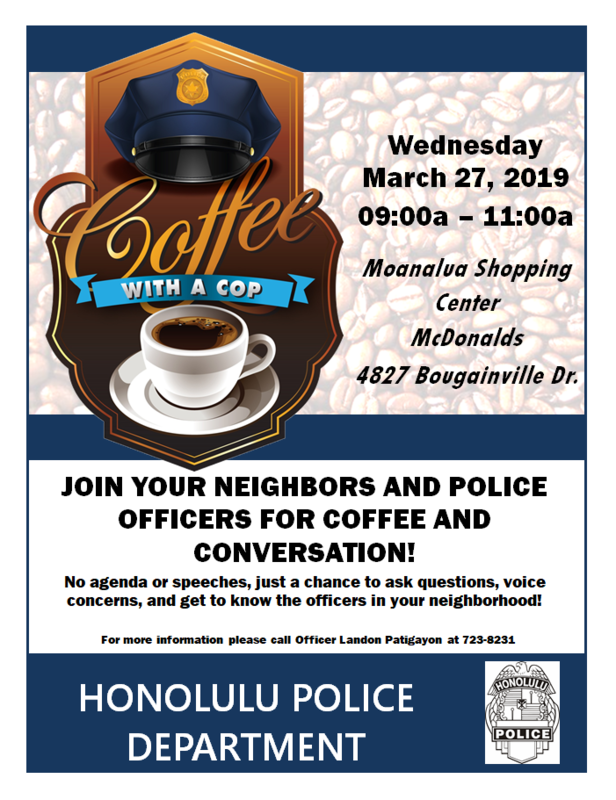 Please RSVP to Anne Lee at hospitality@moanaluapto.org if you are attending and how many people are coming for an accurate dinner count. March 11th: from the cafeteria (outside A+). March 14th: before PTO meeting at 5:30 pm. 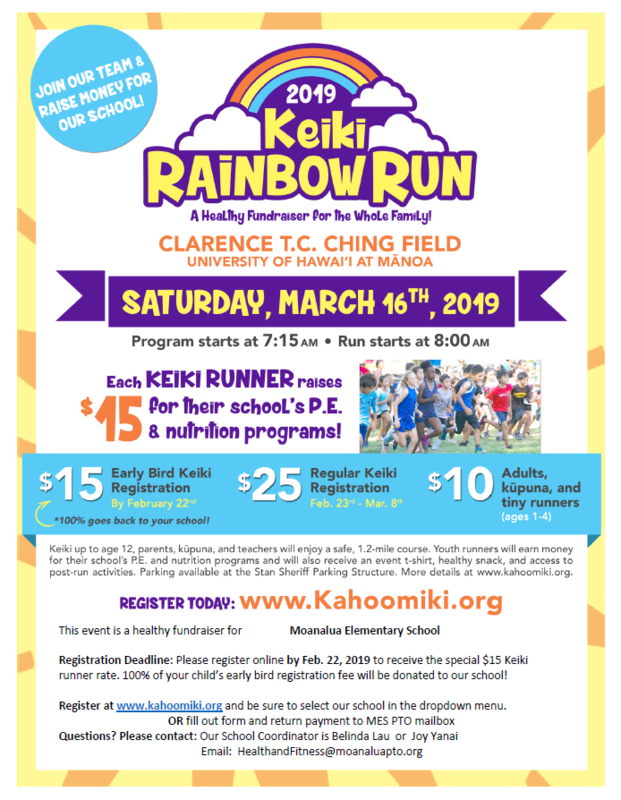 Early Bird Sign up is February 22 and forms and payment are collect in the MES PTO mailbox. All registration fees go back to school for PE and nutrition programs. If you sign up online, be sure to designate our school Moanalua Elementary in the drop down menu. PTO will pick up packets and parents can pick up March 11 (after school) and March 14 at PTO meeting in cafeteria.